At Bridgeway we understand that however much money you throw at security, threats are still on the rise. And that even if high-grade security evolves to combat increasingly complex threats, basic attacks are still extremely successful. We spoke to Marian McHugh at CRN Channel Web about how organisations can tackle this issue. You can read the full article here. Low-tech attacks, such as phishing, have long been a mainstay of the cybersecurity world to the point that they barely raise an eyebrow. However, recent weeks have seen a spate of attacks that have made headlines and shone a spotlight on the perennial phishing pest. The BBC recently reported a data breach that saw a number of fraudulent emails sent to parents of fee-paying schools "offering discounts", after the schools' databases had been breached. Jason Holloway, Managing Director at Bridgeway Security Solutions, said that advanced threat protection - which tries to detects scam emails before they hit an employee's inbox - is one of the biggest growth areas in email security. "Most of these technologies are successful to a degree, but they can never be 100 per cent," he warned. "As we get better at detecting and hiding the more obvious ones, users also become desensitised to expecting these fraudulent emails to come through, so when they do - and are properly crafted - they can trick people into unwittingly clicking on links and opening paths." Holloway added that end-user cyber awareness and training is still in its infancy and so an organisation's employees might not be receiving the right level of education and support to make judgement calls when it comes to suspicious emails...to read the rest of the article click here. Could your organisation benefit from cyber security awareness training? Bridgeway offer a bespoke training programme on cyber security. 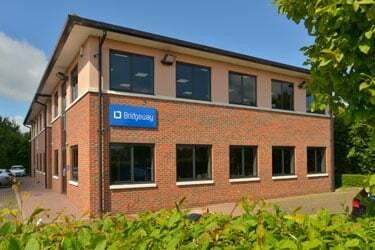 For more information please speak to a member of the team today on 01223 979090 or email info@bridgeway.co.uk. Bridgeway is an information security partner that enables business transformation using a combination of mobility, security, and cloud solutions. We offer a holistic approach to understanding business issues, matching superior solutions through our depth of marketplace understanding, consulting expertise, and the use of trusted vendors to deliver a sustainable advantage. This is firmly driven by our belief that security should enable people, processes, and technology, not restrict them.